(HARLINGEN) – Alberto Torres and his mother Haydee Torres got a head start on Fall 2018, his first semester of college, by taking advantage of Texas State Technical College’s first Registration Rally of the summer. Torres, who graduated from Rivera Early College High School in Brownsville only a couple of days ago, was able to select his majors: Computer Maintenance Technology and Mechatronics Technology, register for classes, apply for financial aid, take a tour of the campus and meet some of his instructors during the event. His mother said she’s comforted to hear her son being so positive about college. 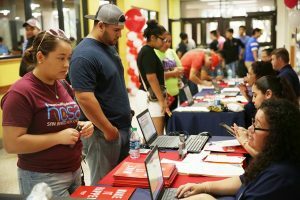 TSTC’s registration rallies began Fall 2016 as a service to new and returning students and their families. It’s a one-stop-shop to apply and complete all registration and financial aid processes. As in past rallies, enrollment representatives from Admissions, Financial Aid, Support Services, the Veterans Center, Student Life and TSTC Housing were on hand to assist students and answer all questions. Campus tours were also available. TSTC Director of Recruitment Dora Colvin said the idea behind registration rallies is to make the process of applying and registering easier and she is excited to know that the event is popular among students and their parents. And for prospective students like Torres, who was encouraged by his high school teachers, counselors and mother to attend the event, this is a step in the right direction. Just as Torres registered early, Colvin encourages all new and returning students to do the same. All 10 campuses statewide host this event every semester with hundreds of students taking advantage of the assistance offered. 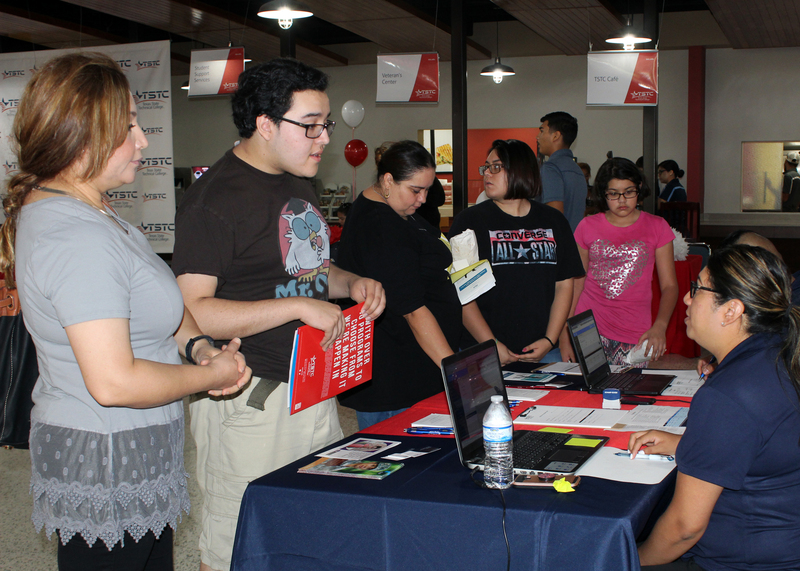 The next TSTC Registration Rallies on the Harlingen campus are scheduled for July 12 and August 7 at the TSTC Student Center from 10 a.m. to 7 p.m.
For more information, visit tstc.edu. This entry was posted in Harlingen on June 18, 2018 by Amanda Sotelo Sotelo.